Trotta Foods is a family affair. It all started in 1955 with Ed's parents, Anna and Al Trotta. "It was their life's dream," Ed says "I'm just helping out." 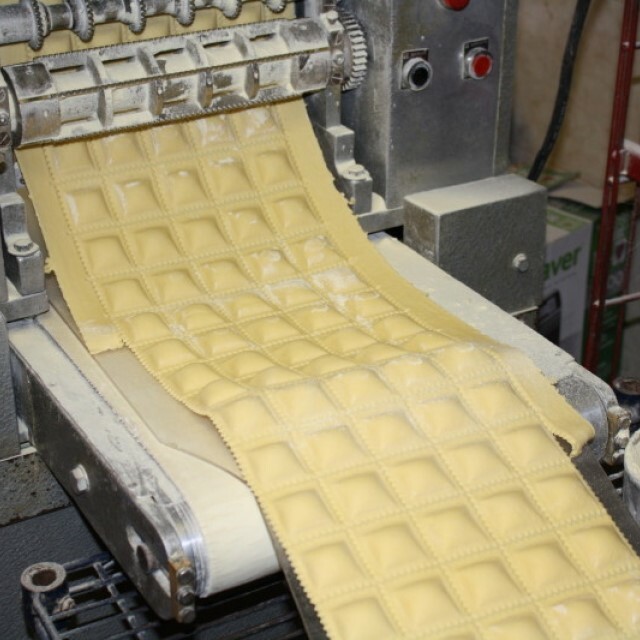 While he may be humble, Ed has helped to make Trotta Foods a destination place for handcrafted pastas and other Italian specialties. His passion for introducing new items like asparagus and fontina ravioli or artichoke pesto has set his business apart over the years. "I get new ideas all the time and I try to act on them," he says. "Business and life, I feel, is all about evolving, you never want to be the dinosaur." But Ed wasn't always in the food business. For a while he left to try his hat at engineering. That didn't last long. After a few years of engineering he realized how much he missed working with food and went back to the family business. With his wife Christine and daughter Jovienne helping out in sales and sons Luca and Gus helping with the wholesale and technical support, Trotta's Food continues to be all in the family!